Here's some Spring for ya. Taken yesterday in Westchester at my High School reunion. 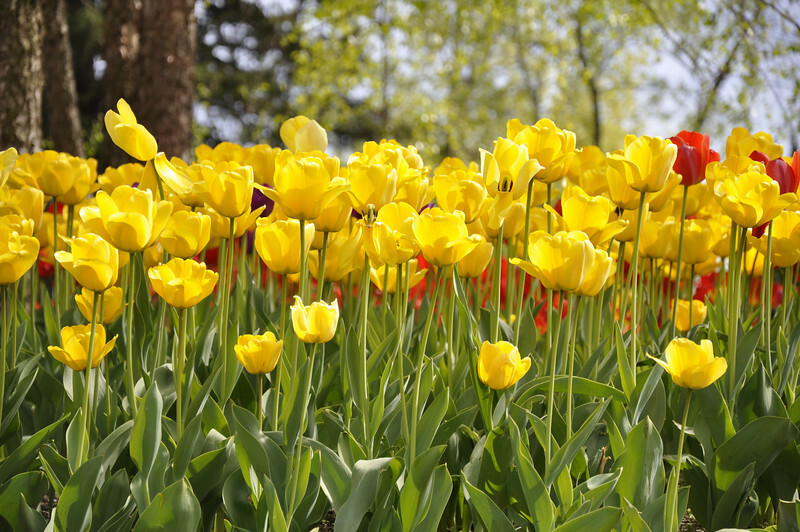 Wonderful capture of these beautiful yellow tulips. Gorgeous colors and light -- lovely perspective too! This is outstanding...love all the yellow with the touches of red. Nice shot and nice to hear from you.